Spain is a wonderful country that deserves your attention. You should visit at least once in your lifetime. 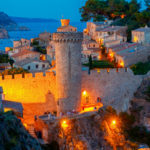 Spain is the perfect destination for a memorable holiday because it is a very diverse country. 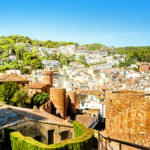 Everywhere you look, you see a different landscape, a number of unique cities, charming villages that fight to keep the traditions of the country alive or a welcoming Spaniard who has his or her heart open and ready to make you feel at home. Millions of people from all over the world visit Spain every year, attracted by its beauty, by its impressive cultural, architectural and historical heritage and by its tasty cuisine which includes hundreds of delicious traditional dishes. So you have made up your mind that you want to visit Spain but you do not yet know which part or what city to visit. 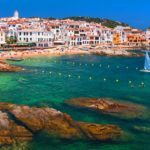 The most difficult thing about travelling to Spain is that you also have to make up your mind as to which exact destination to visit. So, taking into consideration the fact that there are hundreds of places to visit, it can be a difficult matter to choose. However, many people would recommend visiting Alicante. 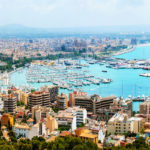 Alicante is a very complex city, a holiday resort situated on the sunny Costa Blanca that enjoys a perfect climate and a huge list of opportunities for your entertainment. 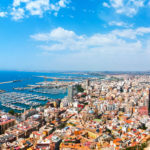 You will find everything you want in Alicante, starting with lengthy beaches covered with delicate, fine sands and bathed by warm, crystal clear waters, continuing with a huge list of impressive historical monuments and finishing with spectacular parks and a vibrant nightlife. Alicante is very famous for its beautiful parks, which are all very quiet and peaceful, far from the agitation and stress of the city. Thousands of tourists choose the Alicante Parks, in particular Canalejas, when they want to enjoy the beauty of the Mediterranean vegetation and experience the tranquility and peace which such parks give you. The Canalejas Park is the oldest park of Alicante, built back in 1886. 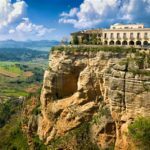 It is situated very close to the harbor in Alicante, near the theme park for children and the Roman Town, which takes you on a trip back into the past of the city. You should definitely visit Canalejas Park because it is a very beautiful place in Alicante, a place where you can relax and enjoy the peace and quiet.